For those of you NASCAR fans that like stats and love to hate commercials, here is the breakdown for Sunday’s race. 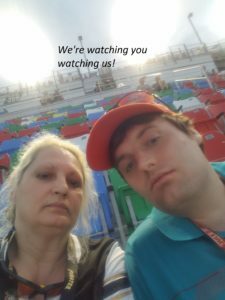 I began recording the times at the Invocation of the race at 3:02 PM, and stopped at the waving of the checkered flag at 6:30 PM (all times are DST). I did not keep records for the pre- and post-race coverage. NBC was the broadcast team for this event. Please note that in addition to the commercials and promos listed below there is always a sponsor’s logo that changes throughout the race above the running order; as well as various driver statistics. Throughout the breakdown, you can find links to sponsors, or special items-of-interest such as links to contests and movie sites. This was the last race of the 2018 season.